My Richmond travel guide includes the top must-do things to plan your next visit. I denote V* for vegetarian and *GF for gluten-free dining options. Use the interactive map below to find all my recommendations. What are some of your favorite places to visit in Richmond? Leave your responses in the comment section. Pasture’s is great for appetizers or dessert. The “candy bar” dessert is a must. The Roosevelt is a highly acclaimed new restaurant in RVA. I really like the dessert menu featuring coca cola cake, peanut butter pie, foie gras pound cake, and nutella gelato. Stella’s is the best Greek restaurant in RVA. Julep’s is a romantic Southern inspired upscale restaurant. Perfect for a date night. Very romantic atmosphere. Black Sheep serves Southern and Cajun cuisine. The gigantic subs named after Civil War Battleships offer outstanding flavor combinations. The War of Northern Ingestion is the signature sub. Dots Back Inn serves diner classics in a vintage themed café and featured on Diners, Drive Inns, and Dives. Kuba Kuba is a Cuban-Spanish restaurant featured on the Food Network. The Picadillo Empanadas and Tres Leches Cake are popular menu times. 8 1/2 is a delicious take out Italian restaurant. Sally Bell’s Kitchen is a Richmond institution. It is a lunch box menu and bakery. Inside each box you’ll find a sandwich (pimento cheese is popular) on fresh bread; a cup of creamy potato salad topped with a pickle chip; a cheese biscuit; a deviled egg; and—the prize—an upside-down cupcake, frosting covering the sides and bottom. Perfect for a picnic at one of Richmond’s outdoor parks. Coppola’s Deli is a popular lunch spot serving N.Y. style deli sandwiches. Dash: Kitchen + Carry specializes in homemade burgers and milk shakes. Strawberry Street Cafe is a really cute café. The bath tub salad bar is popular. Acaia is an upscale New American restaurant. Lulu’s is an eclectic restaurant in an old warehouse. The mac and cheese is a popular dish on the menu. Crab Louie’s is a popular seafood restaurant. Mamma Zu’s is a traditional no frills Italian restaurant. The eggplant parmesan is a local favorite. Sweet Tea’s is a lovely restaurant serving Southern style dishes. The chicken and waffles are popular. Magpie is an adorable gastropod with a creative menu. If you enjoy eating meat, you will like the menu. Pescado’s Seafood comes highly recommended by a former Richmond resident. The menu features Caribbean inspired seafood dishes. Burger Bach is a New Zealand inspired burger pub. Harvest Grocery and Supply is an adorable grocery and kitchen supply store. South of James Market is the best farmer’s market in RVA on Saturday mornings. Pearl’s Cupcake Shop is the best cupcake shop in RVA. Sugar Shack Donuts is one of the best donut shops in the country. Shydigz is an adorable dessert café. Great for after dinner desserts and a hot toddy. Sub Rosa Bakery is an authentic French bakery. The chocolate croissants are popular. For the Love of Chocolate is a candy shop. Country Style Donuts is an old fashion donut shop open 24 hours. Locals from all over the state visit the shop. Mrs. Yodar’s Family Donuts is a family run donut food truck. The sourdough donut is the most popular. Black Hand Coffee is a no frills coffee shop serving a good cup of joe. Alchemy Coffee makes the best lattes and cappuccinos. Rostov’s Coffee and Tea is the oldest coffee and tea shop in town. They roast their own beans and offer a huge assortment of teas. Lamplighter Coffee is known for their cold pressed drinks. Lift Coffee is the cutest coffee shop. Globehopper Coffee serves a delicious espresso. TT Lounge serves the best bubble tea in town. Lemaire’s is a fancy restaurant in the historic Jefferson Hotel. The Jefferson Julep is the signature beverage. You will feel like a Southern Belle in this hotel with the Gone With the Wind style staircase. Monument Avenue is one of the most beautiful streets in America. Don’t miss a stroll or jog along the tree-lined streets showcasing beautiful old homes. In the middle of the road, towering statues memorializing Robert E. Lee, Stonewall Jackson and Jefferson Davis are great photo-ops. 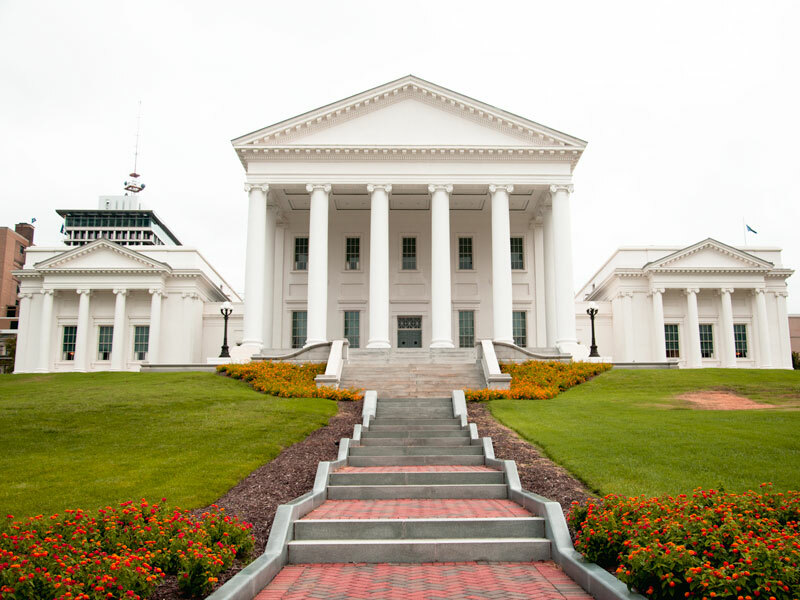 Virginia State Capitol is a great spot for photographs. 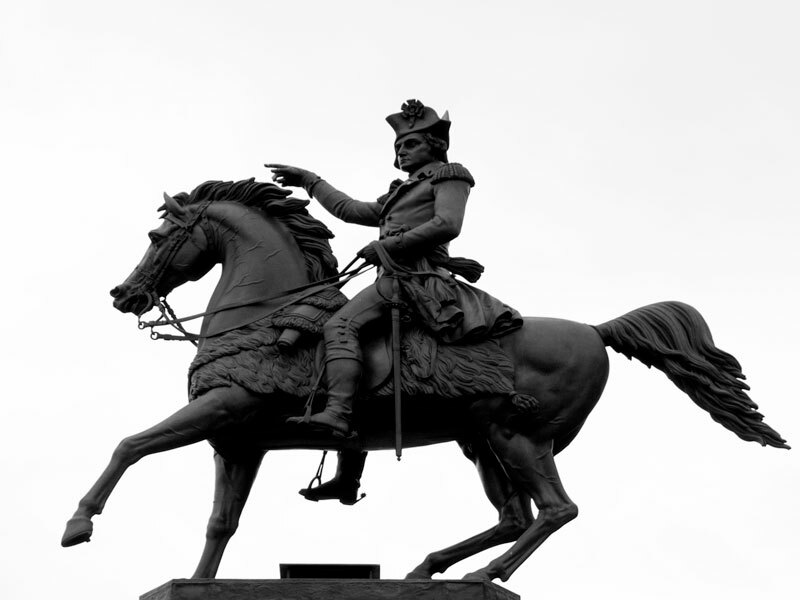 Don’t miss the statue of George Washington. Maymont is a 100 acre Victorian estate and public park. You can spend an entire day here strolling the gardens and other activities. Children love the petting zoo. Great for photographers. Lovely spot for a picnic. Edgar Allan Poe Museum is popular for literature enthusiasts. The museum features Poe’s manuscripts, letters, first editions, memorabilia, pictures, relics, and personal belongings. Virginia War Memorial honors Virginia veterans of World War II, the Korean War, the Vietnam War, the Gulf War, the War in Afghanistan, and the Iraq War. Virginia Holocaust Museum includes an exhibition about the family story of Holocaust survivor Jay M. Ipson. Children’s Museum of Richmond is great for the little ones. Virginia Museum of Fine Arts houses a permanent collection of American Impressionists. Lewis Bitner Botantical Gardens is one of the top botanical gardens in the country. Don’t miss the Garden Fest Holiday of Lights. Hollywood Cemetery sounds creepy but provides the best view of the James River and city of Richmond. Carytown is a funky street nicknamed “Mile of Style” where you can dine and shop. Modern Richmond Tour features architectural tours each month. Richmond Canal Cruise on the James River is a 40 minute boat ride with a tour guide discussing Richmond history. Byrd Theater is popular for $2 second run movies. Brown’s Island is a hot spot for Richmond festival and music events. First Fridays RVA is a monthly art stroll. Greenleaf’s Pool Hall is a fancy pool hall open late. The Camel is a live music venue serving food and drinks. Richmond Food Tour includes a walking tour of Richmond neighborhoods that includes food sampling. Richmond’s Craft and Design Show is a great event for Christmas shopping held annually in November. Sweet Clementine is a designer women’s consignment boutique. Mongrel is a quirky card and gift shop. Izzie’s is a home decor and furniture consignment shop. Ledbury is a stylish men’s shop selling well-fitted and high quality shirts. Fab’rik is a women’s boutique selling trendy clothing at affordable prices. Need Supply is the best place to buy denim. Ashby is a consignment shop for hip used clothing. Glass Boat is a locally owned boutique similar to Anthropology. Traveling Chic Boutique is a contemporary women’s fashion boutique. Shockoe Denim sells jeans made by hand in the store. Euro Trash is a women’s boutique selling casual designer clothing. Diversity Thrift is the largest used clothing and home goods store in Richmond. By Gones is one the best vintage boutiques in RVA. Roan is a luxury women’s boutique. U Fab is the top fabric store in the state. Check out the bargain remnants. Fountain Bookstore is an independent bookstore. World of Mirth is a toy store for kids of all ages. James River Park features a rock climbing wall. Riverside Outfitters offers white water rafting excursions. Virginia Capitol Trail is a 13 mile trail for running, walking, and biking. Liberty Trail is a 6.2 self guided trail featuring 15 National Historic Landmarks. Belle Isle is a 54 acre park to walk, jog, or bike. Pony Pasture is one of Richmond’s most popular spots for sunbathing on the large granite boulders. Jefferson Hotel is an elegant upscale hotel. Berkeley Hotel is a classic hotel offering traditional accommodations. North Bend Plantation is a charming bed and breakfast. You can also tour the home and grounds. Linden Row Inn is a boutique hotel composed of seven adjoining nineteenth-century townhouses.